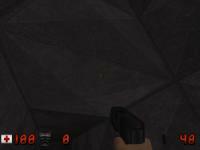 Duke3D HRP: new/updated art assets thread "Post and discuss new or updated textures/models for the HRP here"
The diffuse has now a faked depth added and the normal is a more common normal with a simpler height map. it contains tiff files, so you can use any compression you want. // the other textures are called from the HRP set!! Those did not look right when lighting is applied. So I fixed the faked depth effect to a fair compromise, I think, and added the banked-up duct tile 343 into the set. The broken tile # 341, I simply set the parallaxbias and parallaxscale to 0. Those that still want the first version, just PM me and I'll send it. This is for those who cannot run with the maphacks. Now this is for people who want the polymost maphacks for the polymer HRP. What purpose does this serve? You can disable Polymer lights in EDuke32's settings. All you're doing is breaking the model rotation fixes. It's for those who can run polymer by default and pre-5.1 versions without maphacks, but not 5.1 and newer in standard polymer. TL;DR For people who can only run polymer lights and not shadows. EDIT:This is for those who want to use the old font. EDIT: Updated version of Old Font based on latest SVN build of HRP. To use with the SVN build, Delete the folder "redfont", in \highres\screen\fonts\. Open the console with the default HRP and type "r_pr_shadows 0". You need to do something about the _8b files too. I assume you want this to be a drop in over the existing HRP data, but you need to edit the .def file to remove the tilefromtexture definitions. The only other option is to manually assemble the v1.5 red font's art tiles, which would be a big waste of time. If you don't, every letter of the redfont will be stretched out of proportion. True, but the lights around E1L1 make my FPS drop to 30. Same thing as changing "Dynamic lights" in Video Options to "Map only". Hmm. I notice it's thinner. How do I fix this? I'm not the best def coder. The simplest way for your purposes is to find and replace all "tilefromtexture" with "// tilefromtexture". That said, I just pushed an update to the SVN that re-adds the files and defs for the v1.5 redfont. In the future, just remove the "/*" and "*/" surrounding the Red Font, Atomic Edition block in fonts.def, and add these markers around the v1.3D redfont block. Thanks, first option didn't work, but I'm compiling the latest SVN repo to use that. I should have mentioned: do that in fonts.def. None of it seemed to work, ditched it. 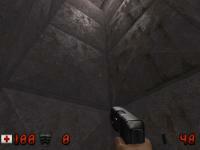 Also, about the r_pr_lighting 2, My fps still drops to 30 in E1L1. Then it may not be the lights at all. It may just be Polymer. Actually, it's because I have an AMD card. Also, I'll be taking my downloads down, and replacing them with polymost maphacks for polymer. Just testing some revisions for the keycard hands in Polymer. I'll post the file we are using soon. Here it is. This fixes a lot of problems with 'Christmas Tree Ornament' hands in Polymer. I'm assuming you mean the shiny gloss look on the hands? Like Duke got lubed up with baby oil before going out to fight aliens. Our Hollywood Holocaust map is out now. Looking at the last time a new HRP was released (June 2015), it would really be about time to come up with a new package. Sad reality is this: In the last 2.5 years, no considerable novelty was introduced that would make it really interesting or worthwhile to publish a new update. Most of the changes were "under-the-hood", e.g. more spec maps, maphacks, def tweaks etc. As great as it is, unfortunately it is nothing that an average user would probably notice. Therefore, I humbly wish to ask if anyone is currently working on anything or willing to work on something in the near future that may show noticable changes ingame. Last to-do list from June 2016 should still be valid. Ep.2 and 3 retexturing is still not complete, even though only 6+7 textures are missing to achieve that milestone. Ep.3 is also in need of two models, one for Indy (1355) and another for a severed alien fetus head (1347). I think we need some people to say if they would like to see TeaMonster's newest enemies from the HHR mod included or not. I'm assuming that since they are a big departure from previous models and sprites many will say no. But a poll would be best to know for sure. Also, somebody found and posted higher res pics of developer's heads. So its possible to get those done with only working on the backround for each head. I remember showing how easy it was by doing one quickie example and hoped someone else would finish them. Since then I know we have a few more artists in the community capable of doing these. I'm probably out of the loop, but wasn't there some discussion a while back about what file format to store textures in? Compressed better for file size, or optimized for fast loading on your GPU with DDS textures? I don't remember the details. Likewise are there existing texture replacements that might also need normal maps, bright maps or anything like that? If you're going to do a big update I'm just wondering if you want to consider how to best package the HRP. Edit: I hadn't seen HHR before but I think it looks great. I'd personally be all for including those new monsters (and maybe a few textures where applicable) in the HRP. If they are controversial, maybe make it an optional download? Something that might be worthwhile is merging the DC HRP and the HRP portions of NW+ and Vaca+ into the mainline HRP, though this requires some EDuke32 changes to work well. I believe I've spoken to NightFright and LeoD about this in the past and the idea was received positively. Duke!ZONE II and NW share some textures so it would not be hard to throw together some defs to hook those up as well, for owners of the 3DR Anthology or Kill-A-Ton 2015. Nothing can be changed at the moment unless you want to outright downsize or JPEG-compress things. EDuke32 can technically load DDS files but they are decompressed to raw pixels in software, making them useless. It was literally one post above yours. We've renamed the polymer_hrp repository to duke3d_hrp, but kept the old polymer_hrp name around as a symlink to avoid any disruption. Is this project still being updated? Or has it reached it's completion? I don't see many posts in the last few months. Is this project still being updated? No one is known to be actively working on it currently. It is not abandoned, though, and fully usable. Or has it reached it's completion? No. The items still missing are, for the most part, both rarely used (in the original maps) and hard to implement. Overall inconsistency of style is to be considered a bigger issue probably. What's missing is mostly stuff from episode 4 (if you don't consider "World Tour" at all, that is), with ep.2 and 3 almost complete.